BLACK EMERGENCY MANAGERS ASSOCIATION INTERNATIONAL: Advisory Positions from Sec.of Agriculture for Advisory Committee on Minority Farmers. June 7, 2017. Advisory Positions from Sec.of Agriculture for Advisory Committee on Minority Farmers. June 7, 2017. The Secretary of Agriculture is soliciting nominations for membership for the Advisory Committee on Minority Farmers. Interested individuals from among socially disadvantaged farming and ranching producers (industry); civil rights professionals; private nonprofit organizations; State, and Tribal agricultural agencies; academic institutions; commercial banking entities; trade associations; related enterprises that support socially disadvantaged producers; and higher education institutions that work with socially disadvantaged producers. 2. The Secretary of Agriculture is also soliciting nominations for membership for the Advisory Committee on Beginning Farmers and Ranchers. We are soliciting nominations from interested organizations and individuals from among ranching and farming producers (industry), related government, State, and Tribal agricultural agencies, academic institutions, commercial banking entities, trade associations, and related nonprofit enterprises. The deadline for applications is June 15, 2017. 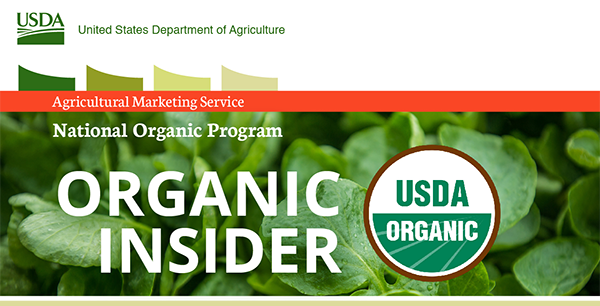 The National Organic Standards Board (NOSB) is a Federal Advisory Committee that provides advice and recommendations to the Department of Agriculture on the implementation of the Organic Foods Production Act. NOSB members are volunteers and come from across the organic community. Each member is appointed by the Department of Agriculture to a five-year term. Written nominations must include a resume, an AD-755 Application Form, and a cover letter (optional), and must be postmarked on or before August 7, 2017.